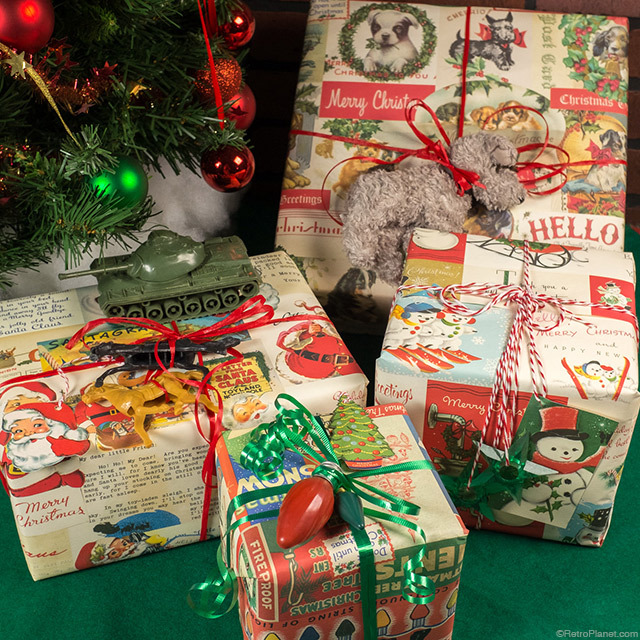 We love the look of old-fashioned Christmas packages and wrappings. 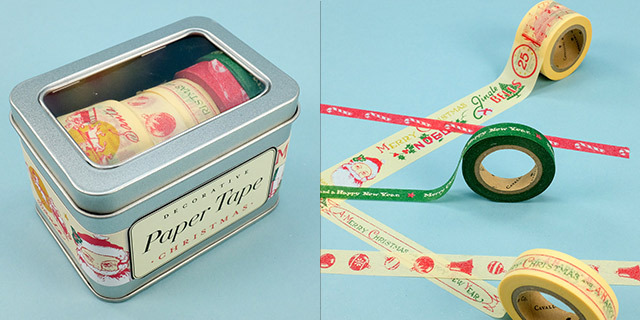 Recreating a vintage look this holiday season is easy with papers, tags and tapes made by Italian paper maker, Cavallini. 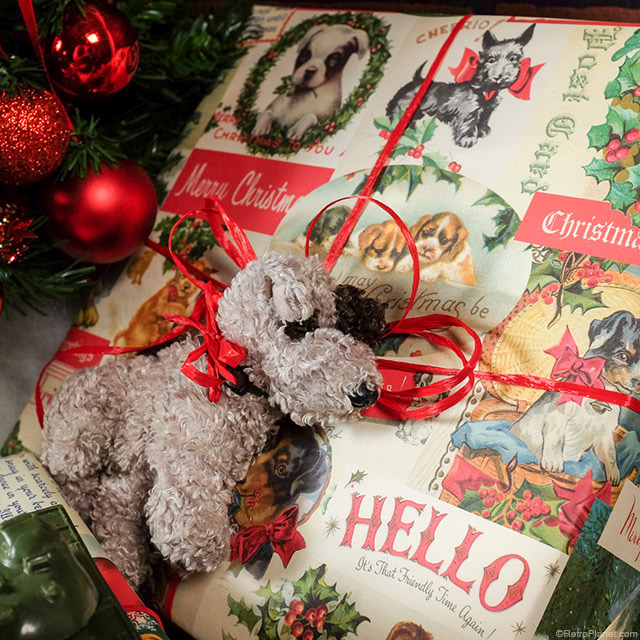 With gorgeous reproduction vintage artwork, these heavy-weight Italian-made holiday wraps are sure to give your gifts a very special look that’s sure to make them memorable. Each sheet is generously sized, measuring 20 inches x 28 inches. Once your packages are wrapped in one of these beautiful papers, you can give it your own special touch with ribbon, string or raffia. Our suggestion for a real vintage look is to tie up your packages with our festive candy stripe red and white baker’s style twine—like they used to do in the old days! You can tie decorative touches to the packages using string or ribbon. 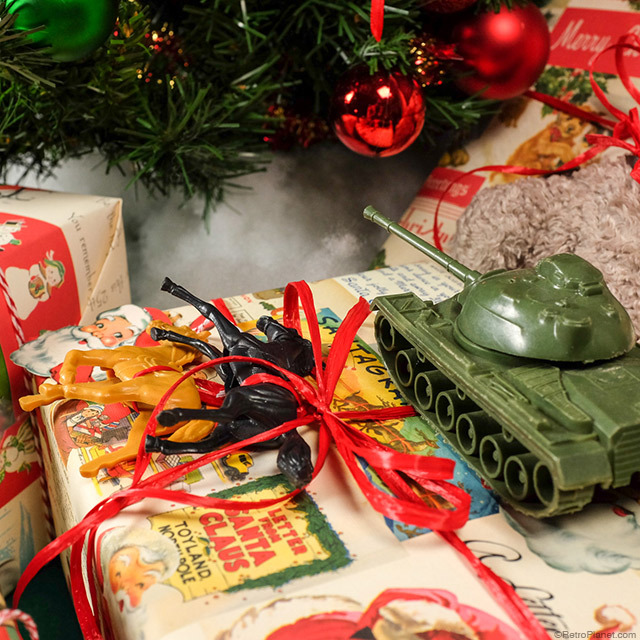 Be inventive and use items like vintage Christmas tree bulbs, vintage plastic toys or silver bells. 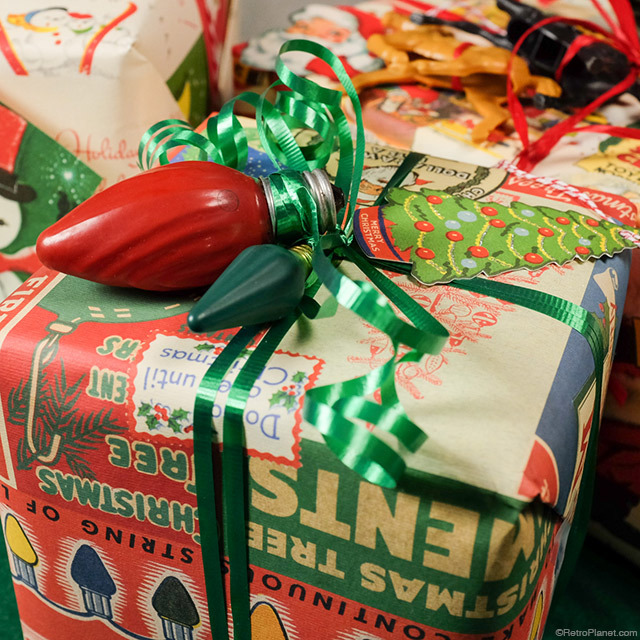 Be inspired by the theme of the wrapping paper to come up with all types of decorations for your packages. For a gift for a child, tie on a small stuffed animal or ornament. You can also tie on candy canes for that special someone with a sweet tooth. For more inspiration, just take a look at the wonderful prints and patterns available on our Christmas wraps. 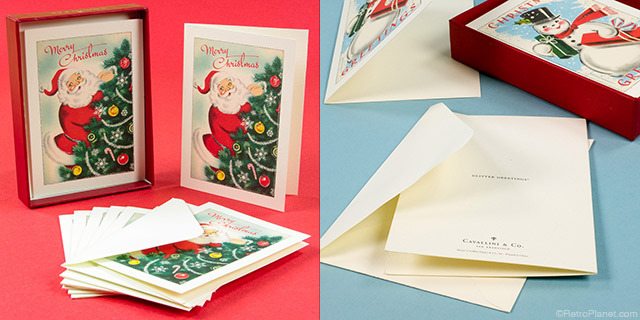 If you’re like me and like to like to use cards in keeping with the wrapping paper themes, we offer unique vintage style Christmas cards that coordinate with these gorgeous papers. 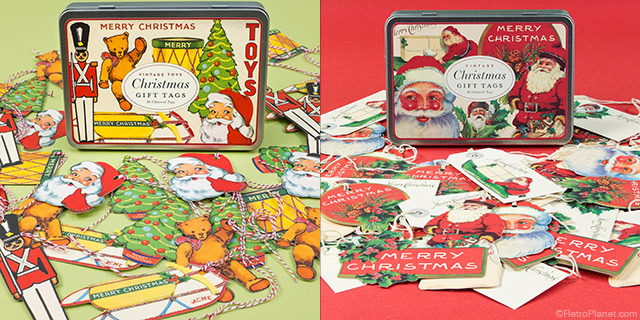 We also have beautiful retro style gift tags, package tapes and stickers you can paste onto the papers or Christmas card envelopes to create your own unique look. For people that love to do crafts, these heavy-weight retro style papers are great for scrapbooking and decoupage. They’re even thick enough to craft your own gift tags and greeting cards from.